I read a graphic novel whilst working in a library that featured a female lead character, that lives on a space station of some kind that, after humans no longer live on Earth. There was an older woman in it as well as her family member or guardian who I think was killed by some kind of gang. Also there may have been either gang warfare or some kind or civil war that was breaking out on the space station, that led her to leave and join some kind or army or military group, where she was sent to fight on a planet that featured a void or portal that took the soldiers into the planet where time moved at a different rate, so a few hours or minutes at the base would mean a tour of several years had passed on the planet. I read it in around 2010, but it may have come out before then. The cover was pink and white and the drawings were black and white. 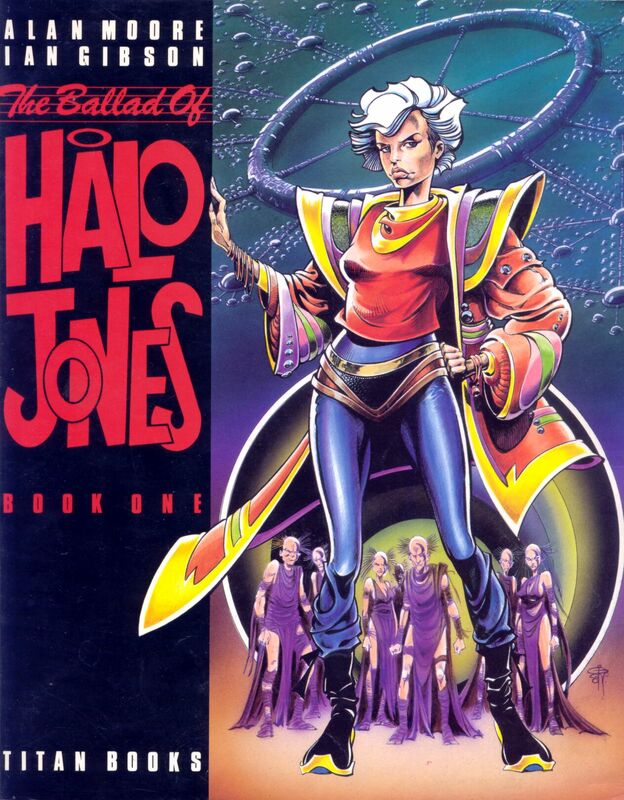 I think this is Halo Jones by Alan Moore and Ian Gibson, originally serialised in 2000 AD from 1984 and later collected in three volumes. There are some differences, such as her not living on a space station, but in "The Hoop"m, which is moored in the Atlantic Ocean off the East coast of America. Nor is there any time dilation (see below), but the rest of the details fit, including the pink cover (of Book Two) and B&W interior art. 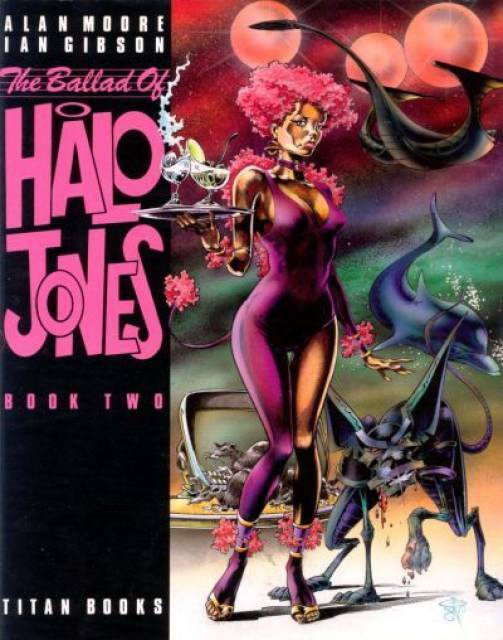 In the first book, we follow 18-year-old Halo Jones over one day, on her violent, though also partly comical misadventures on a shopping trip. Finally returning to her apartment, Halo finds her flatmate and best friend Brinna murdered, then discovers another good friend has become a "Different Drummer" (a youth cult perpetually numbed by the implant-generated beat of a drum in their ears). She decides to leave Earth, never to return. 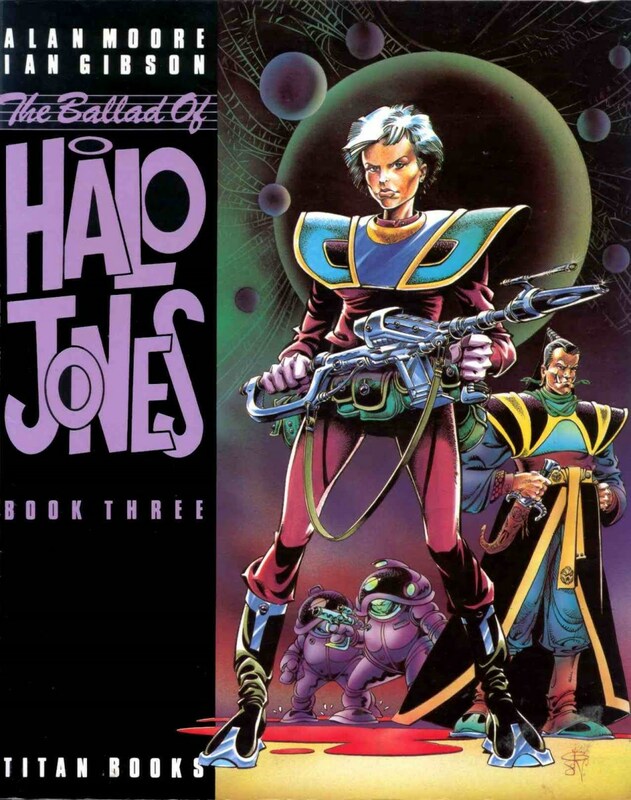 In the second book, Halo has become a stewardess on a year-long space cruise. In the last book, ten years have elapsed and Halo has become a soldier serving in a Vietnam-style guerilla war and is courted by a famous, fearsome-looking general, Luiz Cannibal. I don't remember any time dilation (you may be mixing it up with Joe Haldeman's The Forever War), but the soldiers are forced to wear special suits to survive in an environment of extreme gravity, which they enter through a portal. Not the answer you're looking for? Browse other questions tagged story-identification comics space or ask your own question.